There are some ways to go to Kurama. One is fast,near and cheap way(1). The other is major turist way(2) and walking route(3). These ways are fast, near and cheap ways. But there are few buses. Please be careful. If you want to get on the direct bus to Kurama, you get on the bus for Hirogawara.There are only 3 buses in a day. There are 1-2 bus to Ichihara an hour from HigashiTakanawacho. Please choose (1-2) or (1-3) dedending on timetable. There are 1-3 buses from Ichihara to Kurama an hour. 15-20 minutes by bicycle from Abcdeflat to Demachiyanagi. Kamogawa cycling road is a good road for bike. 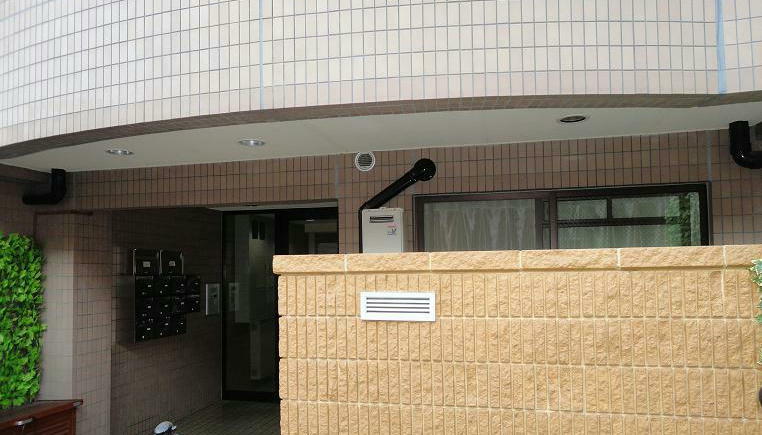 There are paid parking lots(100-150 yen) around Demachiyanagi station. Kamogawa cycling road is a good road for walking. Go to Kamigamo-shrine. Only Misonobashi-bridge is heavy traffic. Other place is comfortable. There is a rapid slope. Old cityscape is left in the sideway.But a car goes though a main road. Entsuji-temple is famous for garden. There are old town scenery remaining around Kyoto-seika university. Kyoto-seika university has faculty of Manga. The library of Kyoto-seika university is open for everyone. We can use internet free there. There are old town scenery remaining in some place. But there are heavy traffic in a main road. You had better get on Eizan Railway from Kyoto-seika universiy or Nikenchaya. The way to Kibune separates from Kibuneguchi. The way to Kibuneguchi is on the way to the way to Kurama. 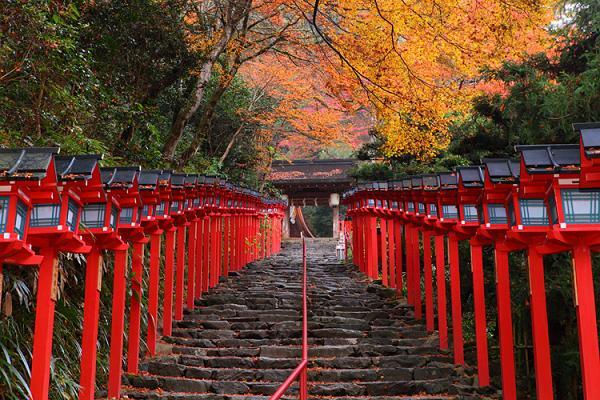 Kibune-shrine is about 5 minutes by bus or about 30 minutes(2 km) on foot from Kibuneguchi. 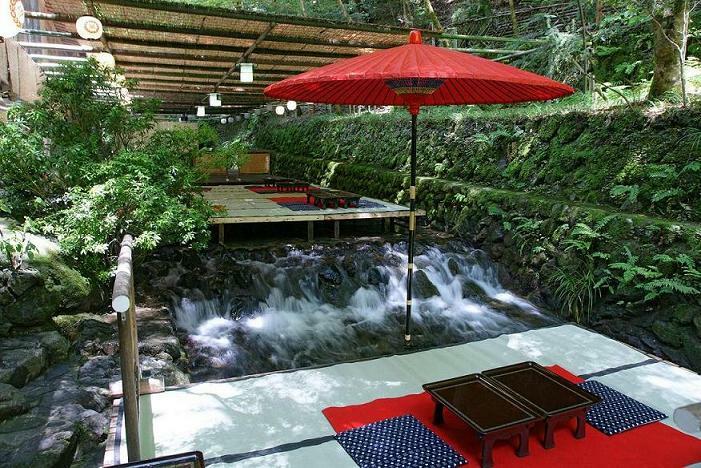 There are some restaurants on the way to Kibune-shirine.They are famous because their seat is on a river in summer. 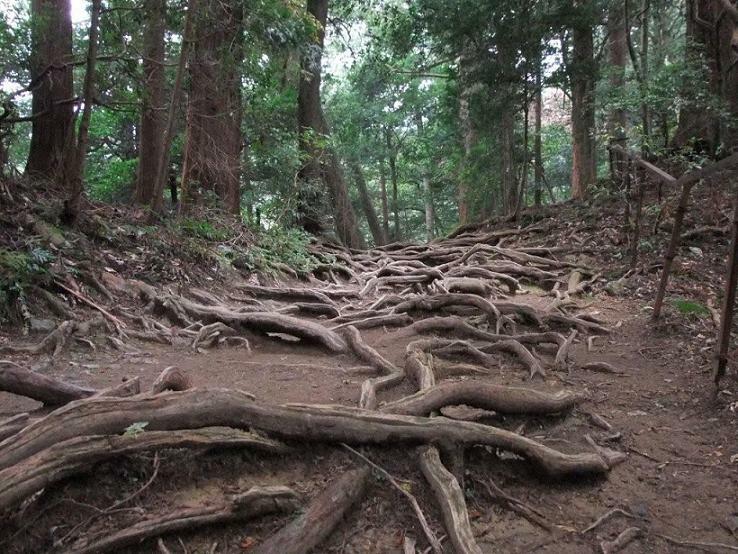 There is a famous hiking course from Kurama-temple to Kibune-shrine. It is the mountain path for approximately 30 minutes on foot. 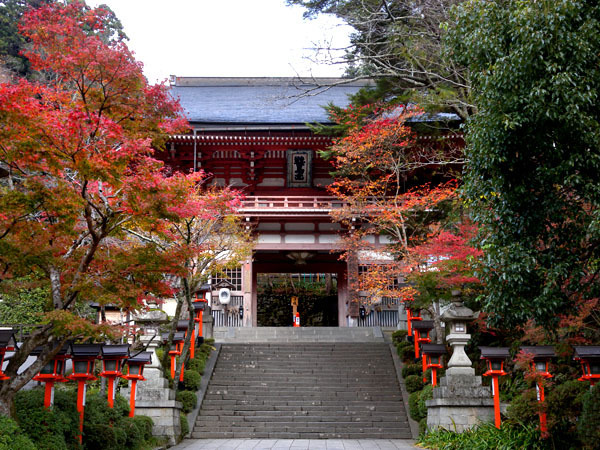 It is more popular and comfortable to Kibune-shrine from Kurama-temple than the way to Kurama-temple from Kibune-shrine.